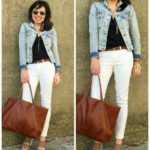 MUST HAVE Jeans From The Past! So you girls know that I wear jeans a lot. Like just about every day. 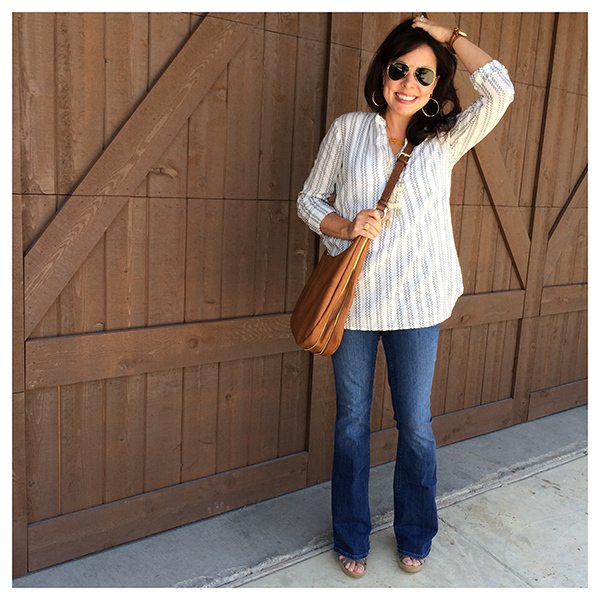 Well, today I’m talking about a pair of MUST HAVE jeans from the past that many of you have claimed as YOUR personal favorite MUST HAVE jeans. I originally named them a MUST HAVE in January of this year, but I quit talking about them earlier this year because they were sold out and no longer available. I’m talking about them again today because I received an e-mail a couple of weeks ago that caused me to think about them again, and I realized there was a new pair in stock! I am a long time reader of your blog–seriously LOVE starting my day with it! I just wanted to write a quick note to share some MUST HAVE love! I am currently expecting baby #2 in March and the must have Wit and Wisdom jeans and Hue leggings are some of the only pants that are still fitting from normal size days. The stretch just can’t be beat right now at nearly the halfway point in my pregnancy! I bet other expecting mamas could relate! I can’t wait for more must haves! Thanks for the e-mail Beth! So like I said, it hit me after receiving Beth’s e-mail…I hadn’t spoken about the MUST HAVE Wit and Wisdom jeans in a long while because the specific jeans looked like they had sold out and weren’t going to be re-stocked. Well, I randomly checked after Beth’s e-mail, and there’s a new version that you can find HERE (and this new version also has fantastic reviews)! Here’s a picture with the original Wit and Wisdom jeans on the left, and the new version on the right. As you can see, they are VERY Similar. *I wear a 4 in both. The new ones are a tiny bit slimmer at the waist (and I think throughout the legs as well), and they are a bit shorter (which is better for almost 5’4″ me!). But those are really the only differences. Again, the original I named a MUST HAVE on the left, the current version on the right. You can see they are almost identical. 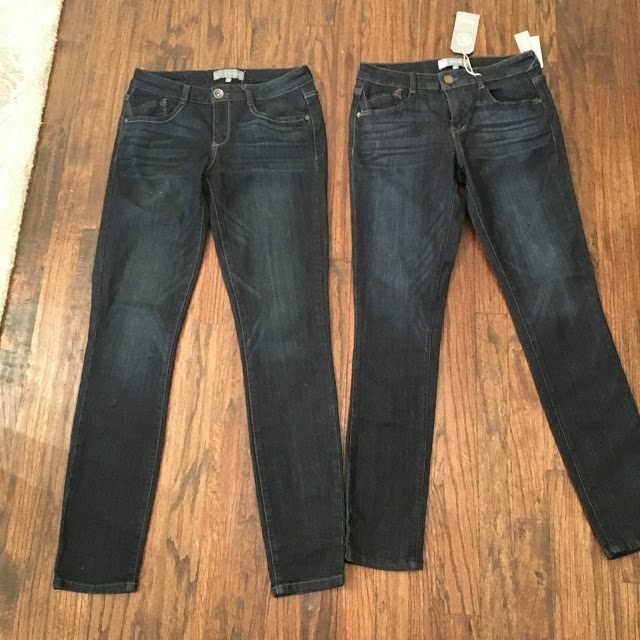 So, now that I’ve had on both jeans and can vouch for both of them, I’m actually going to re-post information from the post about the original jeans because I feel like all of the information is still valid. And whenever there is a link, it will be for the current jeans! 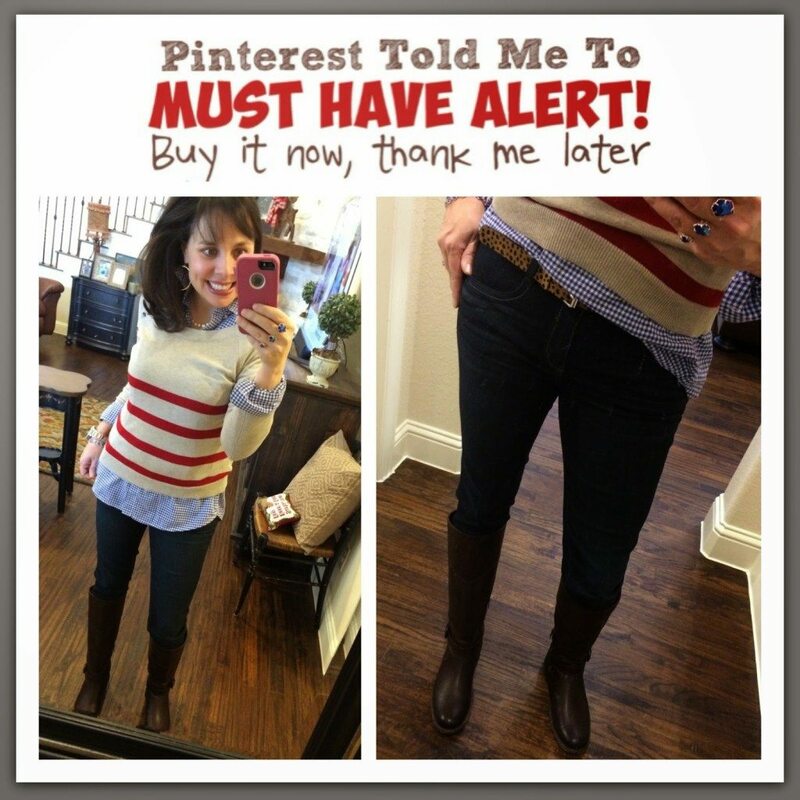 And then at the end of the post you are going to see me in the current jeans in an outfit! I can’t say enough great things about these jeans. And they tuck into tall boots BEAUTIFULLY. And my goodness are they flattering. I also want to mention that these are NOT junior’s sizing. They are from the women’s department, so I know lots of you are going to be happy about that! They remind me of a jegging. Now let me be clear, they are NOT a jegging….but they do remind me of jeggings (because of their comfort and softness). How do I know they aren’t jeggings? as fully functioning belt loops. But they do have jegging like qualities. They are jegging-ish, if you will. They have all of the best qualities of a jegging, BUT THEY ARE STILL A JEAN. Just like the good Lord intended. Here I am last year in my Wit and Wisdom jeans. Click HERE for current version! 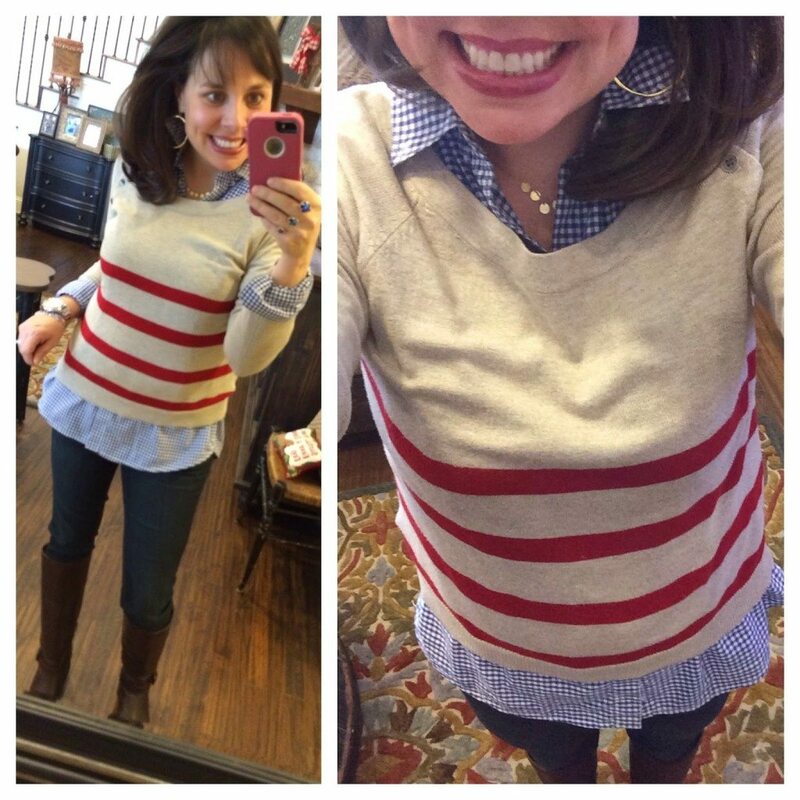 The gingham shirt and the sweater are both several years old (sorry!). The pics below are meant to show you that these are I guess what you would call a mid-rise jean. And again, they are women’s (not junior’s) sizing. I know they will fit a little bit differently on everybody, but they fit just below my belly button (which is why I’m calling them a mid-rise). When I first talked about these jeans I said they were “higher wasted”…and they are….but they are not high-waisted, if that makes any kind of sense at all. So, here it is…the official MUST HAVE alert from earlier this year. Click HERE for the jeans from Wit and Wisdom that are currently available. For size reference, I wear a size 4 in both the old and new versions, so I feel like they are true to size. When talking about last year’s jeans, many reviewers said to order down a size (and I know my readers did to) , but I’m glad I got my normal size last year. And this year, I definitely think they run TRUE TO SIZE. Like I said before, the waist seems to be cut a bit slimmer, so I don’t think sizing down would be a good choice. 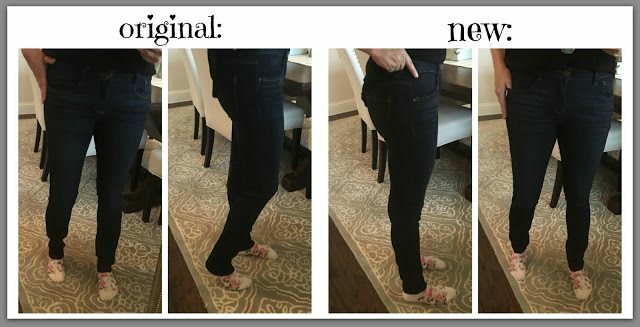 Here are just some of the e-mails I’ve received from y’all about the original jeans. 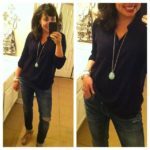 Bought the Wit and Wisdom jeans – totally obsessed! So thankful I found you and love your recommendations! I may wear these jeans every single day. My husband keeps commenting on how good they look! Thank you! …. I also bought the Wit and Wisdom jeans this week and LOVE them. I’ve worn them every day since getting them and they’re soooo comfortable.These are the first jeans in a long time that aren’t falling down by the end of the day. And they’re the perfect high rise and length – NYDJ were always just a bit off and too short, and these are perfect. I have the jeans and absolutely love them. Love the rise and they are so comfortable. They come in black too so I think I’ll be getting those soon. Me likey! Flattering and so soft! 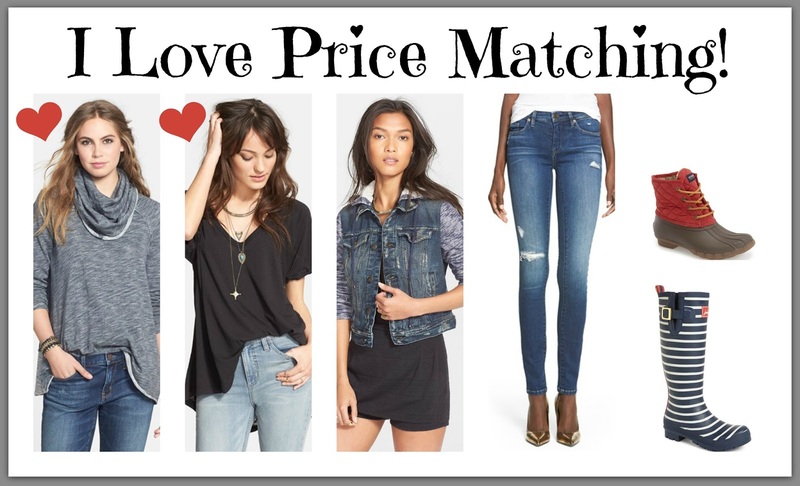 Definitely a must if you are looking for higher wasted jeans! Those are my favorite jeans in the entire world!! The sales lady at Nordy’s got me hooked on them a couple months ago and now I live in them! I could see these jeans as a must have. Very flattering. It fits like a legging but very comfortable because of the stretch. I will definitely be wearing them a lot. I bought these jeans when you first mentioned them a couple of weeks ago, and I’ve already bought another pair. These are definitely my most favorite jeans that I have ever owned. And next to my blardigan, they are the favorite thing you’ve ever recommended to me that I’ve purchased. I bought my normal size just like you did, and they are perfect. Thank you Sheaffer for helping this mom of 3 feel good about herself again! And the reviews on the site about these new jeans are very similar. Click HERE to go read those reviews! Again, if you have been in search of a mid-rise jean, these are your jeans! AND THEY ARE VERY WELL-PRICED AT $64! Here are the new jeans in an outfit! And GREAT news! They have them in plus size as well! And if you want to check out the other Wit and Wisdom jeans, click HERE. Now before you go today, I have 2 Santa Alerts: 1 for the women in your life (or you), and 1 for the men in you life. Both are really nice gifts. First, let’s talk about the women. Have y’all heard of Lake pajamas? But a rep for the company reached out to me to see if I would like to try their pjs. I took one look at the site and was all UH HUH! They are realllllllllllllllly soft, the pants are slim fitting (but not tight), and I love the short sleeve option because I tend get really hot at night. They are actually cool to the touch when you put them on. You seriously need to just hop over here to at least check them out. Click HERE for the pajamas I’m wearing. For size reference, I’m wearing a small. In fact, I love them so much, I knew they needed to be a Santa Alert for sure! Click HERE for the gown. Click HERE for the long sleeved set. There’s also a short set (not pictured) that you can find HERE. These would make a VERY NICE gift for a mom, sister, mother-in-law…anybody who likes to lounge around and look cute at the same time! 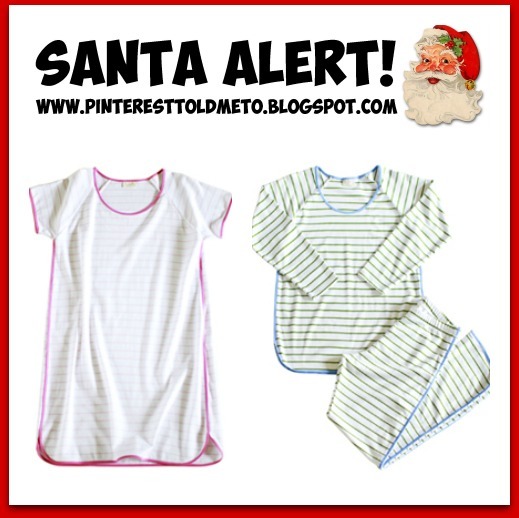 And now a Santa Alert for the men in your life! 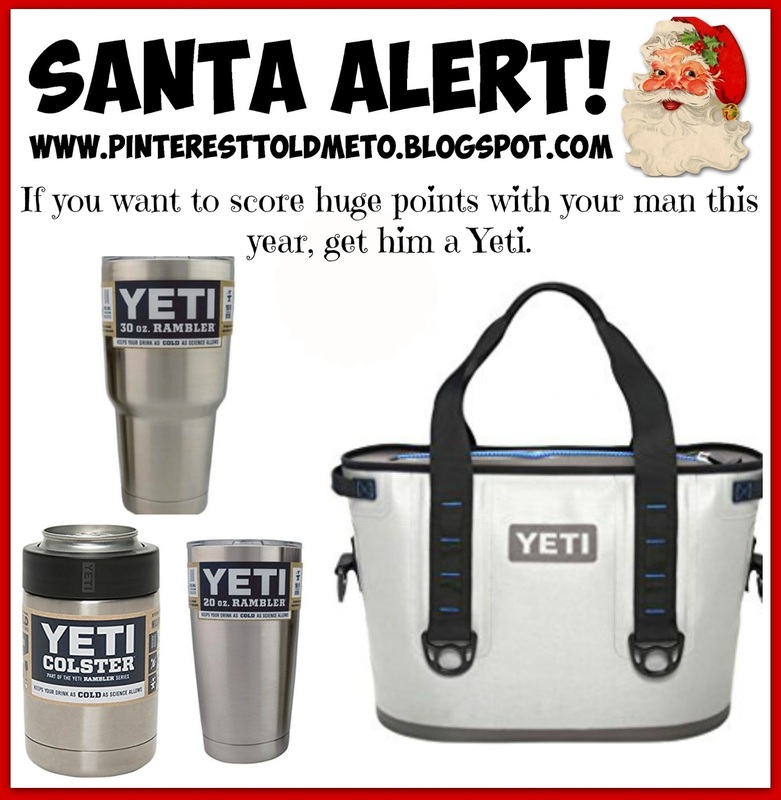 These gifts are for a man’s man….YETI COOLERS! I gave the soft side cooler to Chris for his birthday this year, and we gave him the 30 oz tumbler for Father’s Day and he absolutely freaked out about both! NOTHING out there keeps hot things hot and cold things cold better than Yeti products! Chris can have a drink with ice in it, and the next day…over 24 hours later…there is still ice in the cup! The softside cooler has a leak proof zipper seal and it keeps items cold for days! DAYS! This soft side is much easier to tote around than the original Yeti hard coolers, and so the cooler itself is very lightweight. The only con he has to report is that putting the ice in is difficult with 1 person (1 person needs to hold it open while the other puts the ice in). Click HERE for the soft side cooler. Click HERE for the beer coozie. Click HERE for the 30 oz tumbler. Click HERE for the 20 oz tumbler. See you girls back here on Friday! I found some new items ON SALE or being price matched!!! I personally own (AND LOVE!) the items with the heart by them! How have I not tried these jeans yet?? Those glowing reviews make me wanna order today!! 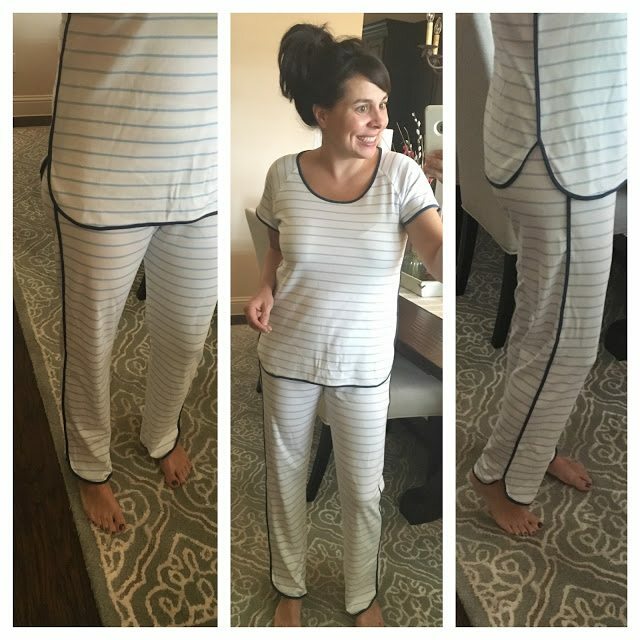 Two things: those pajamas are just so flippin' cute!! And, I've been wanting to get a Yeti for ME! My neighbor Kara keeps talking about how amazing they are. Buying myself one right now! I love your thorough reviews!! I need to check this all out!! That darn auto-correct. 🙂 I noticed today's link to the leopard booties says size DOWN, but your previous post and Nordstrom say size UP. Not huge in the scope of the world's problems, but no one wants too small booties Even though we double love Nordstrom's free shipping and free returns- think of the time lost with your leopard babies. Happy Wednesday. I bought the W&W jeans at your recommendation last Spring but didn't wear them until this Fall (since it's so dang hot in the summer). They are dreamy!!!! So comfortable! 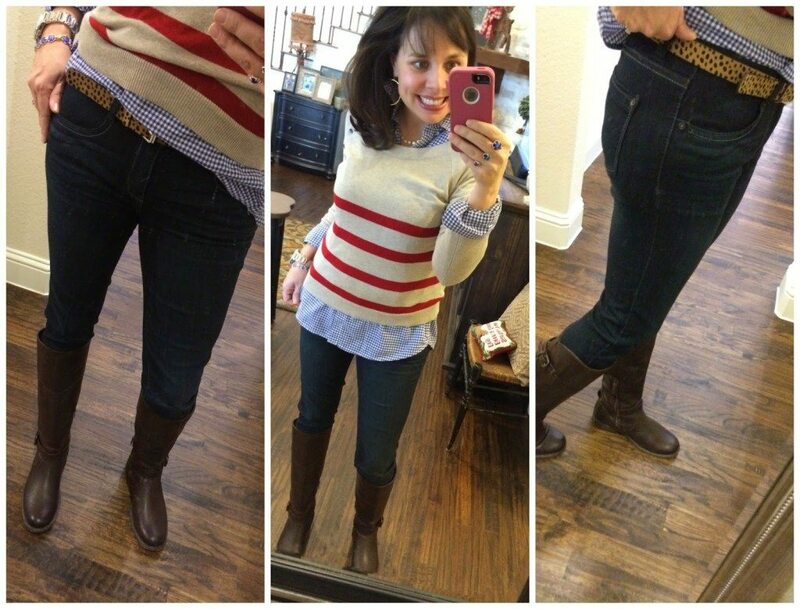 I work from home and you can usually find me in my Zella live ins but these jeans are as comfortable as the live ins! Super cute and flattering too! These will get tons of wear all winter long!!!! "Oh, except I'm wearing a bra. You're welcome." ? You crack me up! Yes!! I love the Wit & Wisdom jeans. I bought them after your recommendation last time. They are my first pair of skinny jeans (I never thought the style was best for my hourglass shape) and I LOVE them! They truly are so soft, keep their shape all day, and are just the best color that is easily dressed up or down. And Yes–they truly do make the booty look fantastic! LOVE my Wit and Wisdom jeans. A lot of my friends now have them too since I wouldn't shut up about them! I just ordered the jeans for in store pickup! Didn't want to risk having them sell out. I hope I love them as much as everyone else does!! Fingers crossed. Finding jeans that fit, are comfy, flattering and don't break the bank is hard. I hope these cover it!! YES YES YES to the Yeti!! My hubby bought me the limited edition mint one early this spring in the roadie size and loved it so much that I purchased a bigger tundra one in the same color for him! We have now added ramblers and colsters to our collection too. Those suckers are HEAVY my goodness, our ice lasted for days and days. Perfect for tailgates, concerts, boating or picnics! This is totally off topic, but… do you know anyone with sensitive ears who has worn BaubleBar earrings and if they had any issues??? They have some gorgeous holiday ones out now that I want but my ears are so sensitive! My ears are sensitive sometimes and I have 3 pairs of baublebar earrings, 2 are fine and one really irritates me ears. The smaller stud types are fine on me but a bigger, bulkier earring gives me some problems. And my ears are not that sensitive, just somewhat. I love those jeans. They are the best and don't sag like some other that I own. And the yeti cup is one of the best purchases I've made in awhile. Love it. Wit and Wisdom are the best jeans ever. I love that they fit and are super comfortable every single day. They look great on my feeling skinny days and on my fat days too. 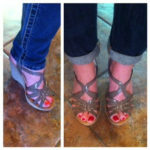 These are a MUST HAVE – I own two pairs!!!! I must have these jeans! 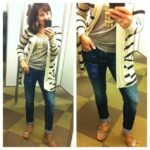 What size do you wear in LOFT pants? I am a 4 in LOFT, but I feel like LOFT runs a little big. Just want a reference before I order. Thanks! I just purchased the W & W jeans a couple of weeks ago after trying them on along with another premium denim. Not only were the W & W jeans less expensive, but the fit was amazing. Not all skinny jeans fit me as well as I am a bit curvy in the hips. They are super soft and very flattering. I have received several compliments. You can't go wrong with these jeans and will need to size down. Can I just tell you how much I love your blog? Thank you for introducing me to the Vigoss distressed skinny jean! How did I ever live without them? I'm curious what your thoughts are on culottes? I'm seeing them more and more lately and I'm thinking have they made a comeback from a few years ago? Or maybe they never left? I'm not sure. I'm thinking they might be cute for the holidays, parties, etc. This post speaks to me! I have three pairs of Wit and Wisdom jeans and love them. Their black jeans are perfect, and the must-have ones are incredibly soft. I'm both loving and hating that I bought the must-haves right after I had a baby last year so they're too big now. And the Yeti…oh my stars, I can't sing its praises enough! I am obsessed with drinking ice cold water, and I always hated that my water would warm up while I was at work. Enter the 30 oz Rambler, and I am a happy camper. Love it love it love it! My MIL got it for me for my birthday, and it was the perfect gift. Yeti-obsessed! Thanks so much for your blog — love it!! 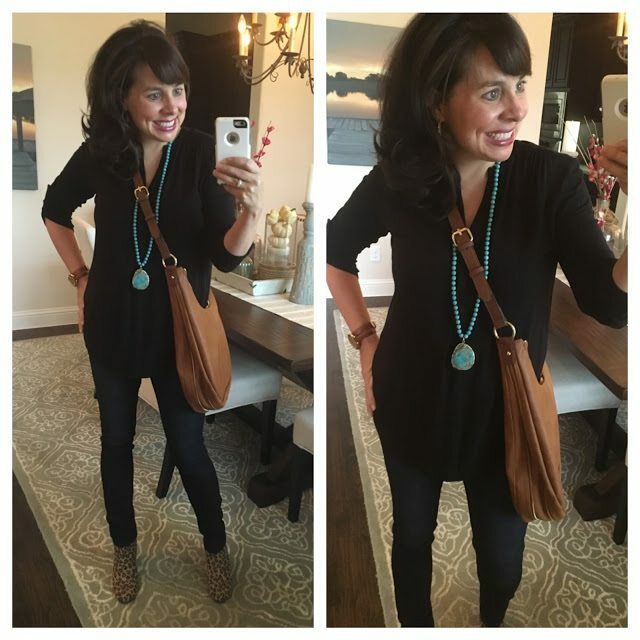 For the Pleione black tunic/shirt, are you wearing an extra small regular or extra small petite? Not sure which one I should get. Thanks! Alright, Beloved. I ordered two pair of these jeans because Shauna Wilson PERSONALLY guarantees they will fit me. I have soooo much trouble buying pants because I have a teeny tiny waist and a gigantic rear end. Not Kardashian booty, but close. Every pair of pants I can find to fit over my tush has a HUGE gap in the waist band….so I normally end up with mom jeans….or full skirts. I am cautiously optimistic.